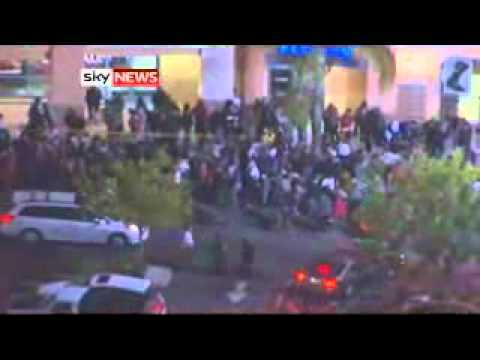 video.news.sky.com Shoppers trying to bag a bargain in the sales in America were attacked with pepper spray. Up to 20 people were injured. Police in Los Angeles are looking for a woman they believe targeted them so she could get first dibs on an Xbox at Walmart. The sales follow Thanksgiving and are known as Black Friday. 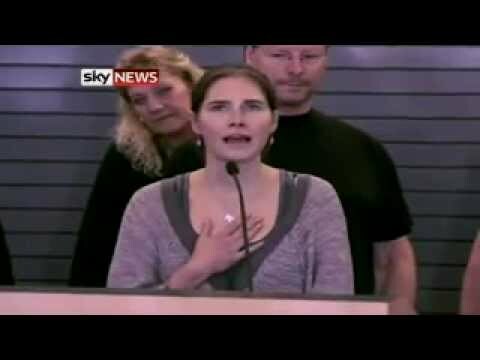 Amanda Knox has spoken publicly for the first time since being cleared of the murder of Meredith Kercher. The 24-year-old arrived in America, saying she was overwhelmed to be back — and thanked her family and supporters for believing in her. Our senior news correspondent, Ian Woods, was on the flight to Seattle with Amanda Knox — his report contains flash photography.